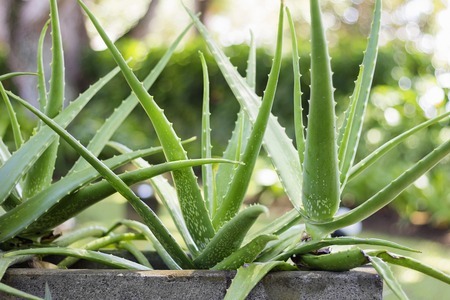 Self Cure Remedy details of Apply aloe vera for the care and relief of Sunburn, including effectiveness and popularity scores of the remedy. Aloe Vera helps heal sunburn at the epithelial level of the skin, a layer of cells that cover the body. It acts as a protective layer on the skin and helps replenish its moisture. Because of its nutritional qualities and antioxidant properties, the skin heals quicker. Apply the gel from a fresh cut aloe leaf directly to the affected area. The self cure remedy of Apply aloe vera for the care and relief of Sunburn has an effectiveness score of 3.8 and a popularity score of 82 on the self-cure system.